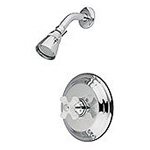 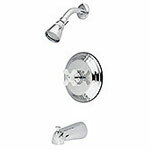 Stylish new shower faucets or tub faucets will add the perfect finishing touch to your bathroom repair or renovation project. 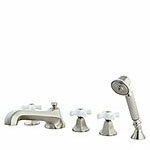 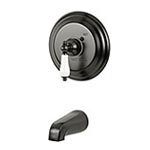 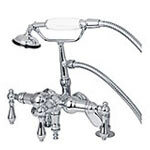 Browse our selection of clawfoot tub faucets, roman tub faucets or combination tub and shower faucets. 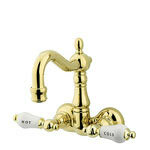 With our extensive selection of styles and finishes, you're sure to find a fixture that complements your home's unique period look.